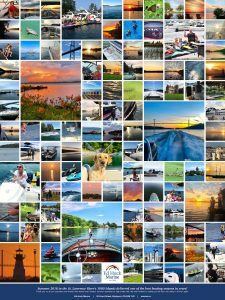 With the photos you submitted to our Summer’18 Photo Challenge, we once again created a short video and a poster to share memories from one of the best boating seasons in years. Thank you to all of our boating customers and friends who shared their summer pictures! You can Download the Poster. If you prefer, you may also pick up a free copy of the poster in the Sales Office at Ed Huck Marine.